Simon is currently in his third year of studying for a PhD in Engineering, working on the topic of resource use. 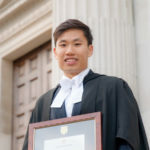 He previously completed an MEng at the University of Cambridge and spent time in industry before returning to study for a PhD. Simon has strong interest in policy-making and government, and the role of both academia and industry in supporting this process. As part of CUSPE he hopes to provide informative events that explore the important role of science and technology in policy-making and provide opportunities for those in Cambridge to learn from and engage with policy experts. Haskan is a MPhil student in the Department of Genetics, and a member of Gonville & Caius College. In the past Haskan has undertaken research at the Gurdon Institute, the University of York, Illumina, and Cold Spring Harbor Laboratory. Haskan is interested in the history and philosophy of science, particularly in the political and ethical issues surrounding biosciences and genetic engineering. When not in the lab or working on CUSPE projects, he spends his free time volunteering at scientific public engagement events and roaming the streets of Cambridge with his camera. 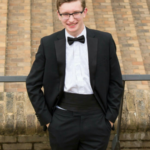 Andrew is a fourth year undergraduate studying for an MSci in Systems Biology at Gonville & Caius College. He is particularly interested in the development of quantitative models for protein misfolding and aggregation. In the past he has worked at the National Physical Laboratory on measurement of research impact, and at the Paul Scherrer Institute in Switzerland. He looks forward to helping to involve the wider student community in discussion on science and policy issues. 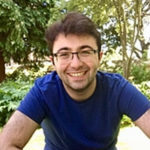 Alexander is a PhD student in Population Health Sciences at the University of Cambridge. His research focuses on health, longevity and the major non-communicable diseases of global and public health concern, namely Cardiovascular Disease, Type 2 Diabetes and Cancer. In particular, he studies the combined influence of Nutrition and Physical Activity on these health outcomes. 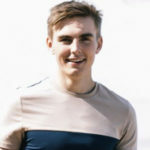 Prior to starting his PhD studies, Alexander also graduated from the University of Cambridge with a Master’s Degree in Epidemiology and subsequently completed interdisciplinary training in Public Health at Harvard University. Through CUSPE, he is most keen to learn about the translation of research & evidence into policy. Yue-Yi is a third-year PhD student in education. 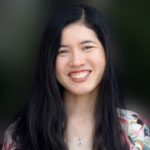 Her research looks at the relationship between teacher accountability policy and sociocultural context across countries, with a multi-country statistical analysis alongside field interviews in Finland and Singapore. Previously, she was a think-tank researcher and a secondary-school teacher in Malaysia. She participated in the 2018 round of the Policy Challenges. Marco is a second-year PhD student in Clinical Neuroscience, working on improving diagnostics and predictability of cognitive decline and dementia in patients having experienced a stroke. He previously studied in the Netherlands for 5 years. His aim in CUSPE is to translate scientific ideas to society and inform the wider public about it. The mutual trust between science and public is absolutely essential in solving today’s global problems. Ryc is a Postdoctoral Research Associate in the Cardiovascular Group at the Primary Care Unit. She is currently working on a process evaluation of a pragmatic randomised controlled trial of a new model of primary care for stroke survivors and their carers. 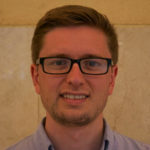 With a background in health psychology, specific interests in behaviour change and implementation science, and previous experience of working with professional organisations to engage healthcare professionals in research, Ryc is interested in meaningful ways of working with various stakeholders to translate evidence into practice and policy. 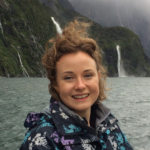 Helen is a 2nd year PhD student in Geography, looking at the resistance of salt marsh sediments to waves and currents. She is really interested in science communication, both to the public and also to policymakers. At the moment, she is undertaking a RCUK science policy internship, so is currently based at the Centre for Science and Policy in Cambridge. She is really keen to put what she has learned during her time as an intern to good use, and to further her interest in science-policy interactions. 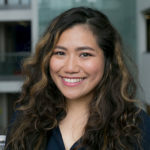 Renata is a research associate at the Centre for Cancer Genetic Epidemiology, currently working on the validation and development of statistical models for predicting breast cancer risk. 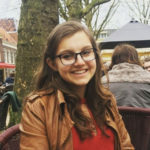 With a background in mathematical biology and statistics, she is very keen on science outreach and communication, and looks forward to learning more about the interface between science and policy. 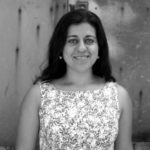 Karla is a second-year PhD researcher in Engineering as part of the Resource Efficiency Collective. Her research focuses on energy services for different countries. 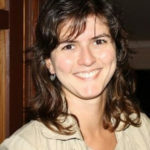 Karla’s interest in public policy relates to communicating with policy makers so academic research becomes more usable. As head of workshops, Karla aims to create workshop formats that facilitate the exchange of ideas where people from different fields are involved, as well as bringing students in contact with policy makers to increase their understanding of each other to promote useful collaborations. Eleni is in her third year of studying for a PhD in plant science, working on the topic of molecular phytopathology. She previously completed a MSc at the University of Nottingham and spent a year as a researcher at the University of California San Diego (UCSD). 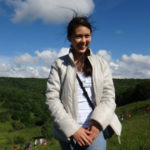 She is currently completing an internship at DEFRA. Eleni has a strong interest in evidence-based policy and the role academia and other stakeholders have in that process. Masami is a PhD student at the Cancer Research UK Cambridge Institute and a member of Fitzwilliam College. Her research focuses on cellular senescence and chromatin organization. She is very interested in the bridge between policy making/advising and research. She strongly believes it is an essential matter to address since it directly impacts society’s welfare. Archie is a third year Biological Natural Sciences undergraduate, taking Pathology alongside Sociology of health. he is interested in the intersection between Science and Politics and the challenges of the political process in implementing evidence-informed policy. 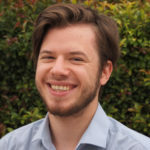 Archie aims to pursue a career in Science Policy, particularly in facing emerging challenges in Public Health with regard to infectious diseases, such as antimicrobial resistance. Michele is a member of Gonville & Caius College and a PhD student at the Centre for Misfolding Diseases (Department of Chemistry). His research involves the systems biology and biophysics underlying neurodegenerative processes and ageing, with a focus on protein aggregation in Alzheimer’s disease. 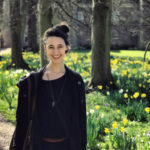 Before coming to Cambridge, Michele received a Diploma in Biology from Scuola Normale Superiore and an MSc in Biology Applied to Biomedical Sciences from the University of Pisa. Michele is interested in the relationship between science and the law and how policy making might address the challenges arising from their interaction. Roxine is a South African currently studying a PhD in Chemistry, where she is working on the development of therapeutics against Alzheimer’s and Parkinson’s Disease. As part of the Publications team at CUSPE, she will be working on editorial and writing pieces, as well as podcasting and other media to create valuable channels of communication for young researchers to learn about, discuss and debate policy. She urges you to get in touch if you have any writing you’d like to publish with CUSPE! 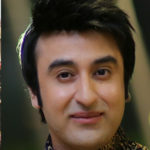 Irtiza is a post-doctoral researcher in Institute of Neurology of University College London. He main subject of research is physics of medical imaging, in particular, magnetic resonance imaging. Previously, he had post-doctoral positions in Aalto University in Finland, Bilkent University in Turkey and University Hospital Bern in Switzerland. He received his PhD degree in physics from Technical University Dortmund, Germany. Considering his strong multidisciplinary educational background in both engineering and natural sciences as he has bachelor’s and master’s degrees in engineering, he aims to explore science-engineering-policy exchange through publications and media. Apart from his work, he enjoys cooking, fitness activities, writing for education, technical aspects of film making and music. 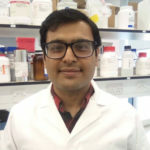 Prashanth is a third-year PhD student at the Centre for Misfolding Diseases (Department of Chemistry) and a member of St. John’s College. The focus of his research is the connection between protein homeostasis and mechanisms of toxicity in neurodegenerative diseases, such as Alzheimer’s disease and Huntington’s disease. Prashanth is interested in the role of scientific evidence in policy-making, especially in identifying the most effective methods of selecting and conveying evidence to law-makers in response to emerging public health concerns. 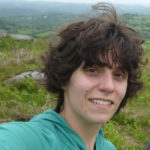 Margarida has a PhD in Biomedical Sciences awarded by the University of Lisbon and is currently working at the Department of Chemistry as a Postdoctoral Research Associate. She works in neurodegenerative diseases such as Parkinson’s and Alzheimer’s disease. Her research aims to determine the composition of the toxic species responsible for neuronal loss along with the development of early diagnosis methods. Outside her research, she is interested in understanding the best ways to get scientific knowledge reach policy-making agencies, therefore promoting a more sustainable a developed world. Finally, she has been involved in many outreach events such as the European Researchers’ Night (Lisbon – 2012-2013, supported by the European Commission) and Science Lates (Science Museum London – 2016, supported by the Royal Society). Chloe is a postdoc in the Chemistry Department, working on epigenetic research in the lab of Sir Professor Balasubramanian. She has a PhD in Mitochondrial Biology from UCL and is really interested in becoming involved in policy events and learning more about the process of policy making in science. 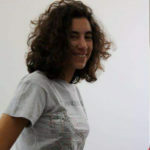 She is passionate about communicating science and write for the Cambridge University BluSci magazine in her spare time. 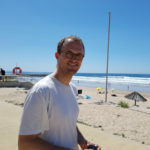 Jotis is a Postdoctoral Research Associate in the Department of Earth Sciences at the University of Cambridge. His research concerns the biogeochemical cycling of various elements in the environment and their relationship with climate, tectonics, and landscape dynamics. He is currently working on the chemistry of large rivers in Southeast Asia. Jotis became interested in science policy while studying for a PhD at the University of Southern California (USC). 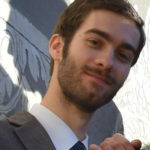 He founded and for two years was the President of the Science Policy Group at USC, providing a platform for students, researchers, and faculty to discuss science policy issues and to engage with policymakers and stakeholders outside of academia. 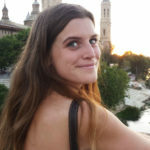 Orla is a first year PhD student at the Institute of Metabolic Science researching the gut-brain axis in the control of appetite and feeding behaviour. 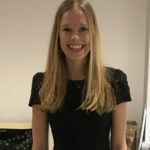 Before coming to Cambridge, Orla completed an undergraduate degree in Biological Sciences at Durham University and an MRes in the Biology of Ageing and Age-Related Disease at UCL. Through her role on the Forum Team Orla aims to promote and build relationships between academics and policy-makers through enabling a platform for discussion at the annual forum. Orla believes effective science communication and policy making is essential to ensure scientific research can be successfully employed to solve real-world challenges.